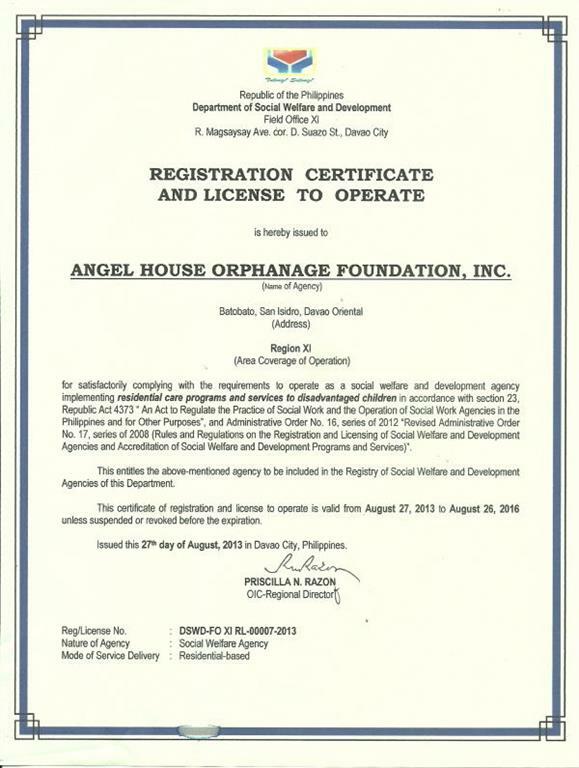 The Department of Social Welfare and Development (DSWD) monitors Angel House and provides guidance and training for our staff. All of our adoption cases are processed through them and we have to submit quarterly and annual reports to them, including an independently audited financial report. 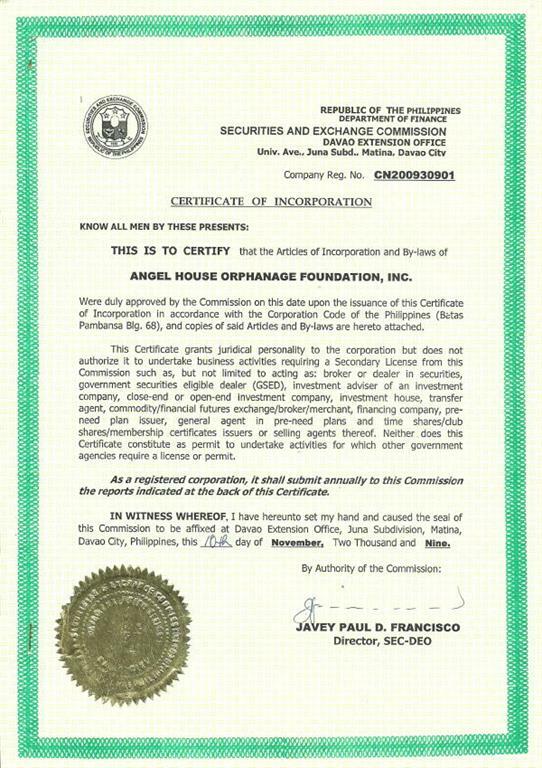 The Securities and Exchanges Commission (SEC) requires Angel House to submit an annual audited financial report and other documents related to the operation of the Foundation. Pretty hard to rate any organization that is dedicated to finding good homes for abandoned children, with less than 5 stars. A very special home for the abandoned children that gives them hope for their future. 5 stars from me. Rochelle Suarez Dura.